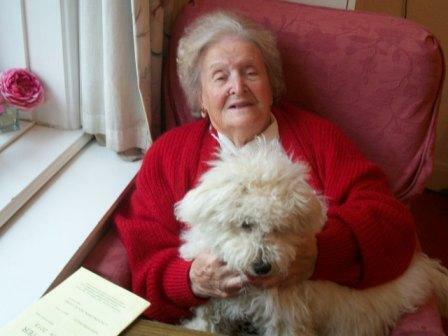 Bethany aims to provide its residents with a safe, secure, relaxed and homely environment in which their care, well-being and comfort are of prime importance and where we encourage all service users to exercise their rights in full and to live life as independently as possible. We strive to preserve and maintain the dignity, diversity, individuality and privacy of all our residents and in doing so will be sensitive to their ever changing needs. Residents have privacy when needed and want it. Residents are given any support they need to help remain independent and involved in the local community. Bethany ensures all residents have care or treatment that is tailored to their individual needs and preferences. To achieve this each resident has a person centred care plan, in which all needs and preferences are assessed and recorded. Residents are encouraged to participate in the development of their individual care plan; along with the involvement of family, friends, advocates and professional services. These are reviewed monthly or sooner if their needs change. Residents (or anybody legally acting on their behalf) must give consent before any care or treatment is given. We offer our residents assistance in the management of their own finances and work to accounting financial procedures which safeguard the residents. Our friendly staff discreetly assist residents to maintain their own personal hygiene; safe guarding their privacy, dignity and diversity. We actively encourage all residents to express themselves as unique persons and work alongside care professionals where appropriate. Specialist equipment e.g. hoists, and bathing facilities can be used to maximise independence. Our caring and dedicated team of staff play an important role in the well-being of our residents. We assess the risks to each individual's health and safety during any care or treatment and make sure their staff have the qualifications, competence, skills and experience to keep them safe. Find our more about our staff here﻿﻿. Our aim is to provide a lifestyle for our residents, which meets their social, cultural, religious and recreational interests and needs. We encourage residents to maintain old friendships and build new ones. 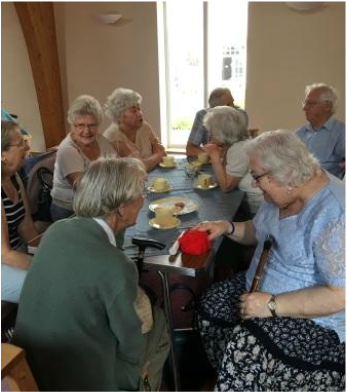 We offer an extensive programme of activities designed to encourage mental alertness, self-esteem, and social interaction with other residents. For more information see our social ﻿﻿activities and events﻿﻿ pages. We cater for all types of diet and a choice of menu is provided on a day to day basis and as far as it is practically possible; residents can choose when and where to eat and with whom. Special cutlery and crockery is available and service users are given assistance according to their needs. Observation charts are completed for the more vulnerable to monitor their nutritional intake. Find out more about our kitchen and dining facilities here. Bethany maintains safe procedures for the administration of all medications, by working alongside Regents Pharmacy and Greenview Surgery (Hazeldene Road, Northampton) and staff are trained in the Biodose system. Those service users wishing to self medicate must pass a risk assessment process. Bethany Homestead will provide end of life care that respects the dignity and wishes of the individual. End of life care plans are put in place to ensure that the residents preferences and requirements are recorded and acted upon with the support of Greenview Surgery and District Nurses. Where it is deemed these well-being needs cannot be met within the remit of the care home service, we will work with professional services to provide alternative support. You can download our full current statement of purpose here.